Much of my life has been spent in the great outdoors. Whenever I'm not at the keyboard, I'm outside enjoying Mother Nature. The ratio of indoor to outdoor time differs greatly from my childhood days, but nonetheless I carry the mountain and prairie spirit with me and with that, a keen appreciation for the great outdoors. Several winters ago, during one of my winter visits home, my brother had constructed an ice-fishing hut, complete with a hot toddy dispenser! 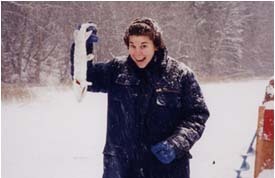 I had always thought ice fishing to be one of the crazier winter activities to do in life, not to mention freezing cold, but I was assured that 1) I would not freeze while in the hut and 2) I would catch something. My brother was right on both counts! 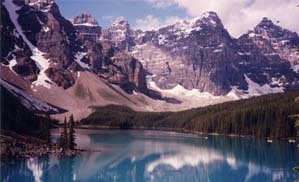 Hiking in the Canadian Rockies was a favorite pastime for me when I lived in that area. Cycling around the islands of Prince Edward Island and Manhattan has also been a part of my life. Since 2005 I have lived in Albuquerque, New Mexico, USA.